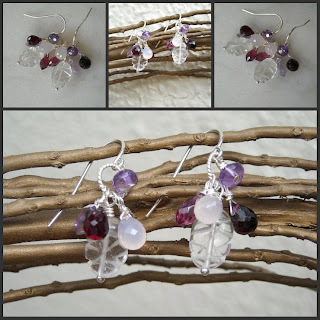 Carved topaz ovals dangling off 'twisted' sterling silver hoops and for a dash of color, faceted chalcedony, rubilite, amethyst briolettes and a single amethyst faceted rondell. Sterling silver earwires. Drop of 33 mm.